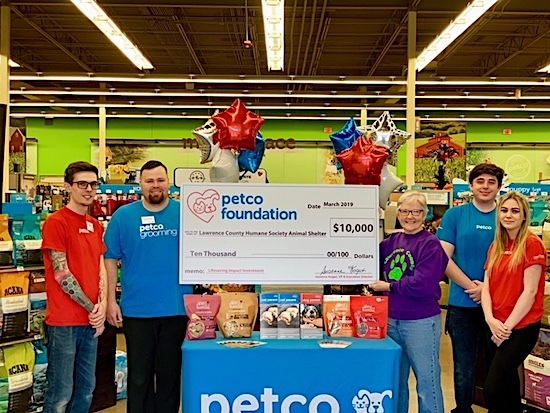 Grant of $10,000 will extend efforts to save more animal lives in Lawrence County, Ky.
PETCO Grant of $10,000 will extend efforts to save more animal lives in Lawrence County, Ky.
Louisa, Ky. (March 6, 2019) – Lawrence County Humane Society of Louisa, Kentucky announced it has been awarded a $10,000 grant from the Petco Foundation to support its program to reduce the number of homeless kitten litters born each year throughout Lawrence County. The Petco Foundation investment will help provide spay and neuter surgeries for family pets of low-income families in the community. In addition, surgeries are being provided to numerous free roaming community cats through Trap, Neuter, Release (TNR) services. Lawrence County Humane Society is a nonprofit organization which strives to reduce the over breeding of dogs and cats through public education programs and promote humane attitudes and good treatment for all animals serving Lawrence County, Kentucky. Since 1990, Lawrence County Humane Society has provided shelter, medical care, spay/neuter alterations, and intervened in cruelty and neglect cases for thousands of animals which have come into their care. 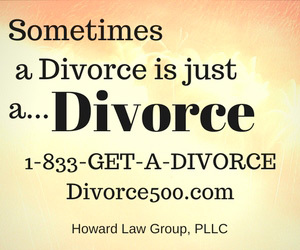 For more information about Lawrence County Humane Society, visit www.lawrencecokyanimalshelter.com. For more on the Petco Foundation, visit www.petcofoundation.org and join the conversation on Facebook, Twitter and Instagram by using the hashtag #PetcoFamily. The Lawrence County Humane Society was incorporated in 1990 by a small group of people who were concerned about the ever-growing stray animal population in their community. We work closely with the animal control officers from both Lawrence and Magoffin counties to pick up stray animals, enforce county ordinances, and address cruelty to animal complaints. We strive to educate all age groups to promote humane attitudes and good treatment for all animals. And we work to reduce the over breeding of dogs and cats through public education programs and spay/neuter assistance programs. At the Petco Foundation, we believe that every animal deserves to live its best life. Since 1999, we’ve invested more than $250 million in lifesaving animal welfare work to make that happen. With our more than 4,000 animal welfare partners, we inspire and empower communities to make a difference by investing in adoption and medical care programs, spay and neuter services, pet cancer research, service and therapy animals, and numerous other lifesaving initiatives. Through our Think Adoption First program, we partner with Petco stores and animal welfare organizations across the country to increase pet adoptions. So far, we’ve helped more than 5.5 million pets find their new loving families, and we’re just getting started. Visit www.petcofoundation.org to learn more about how you can get involved.